Our accident repair unit, incorporating spray booth and jig, undertakes work on behalf of many of the UK's leading motor insurers. Our qualified and experienced staff ensure that professional standards provide customer satisfaction. 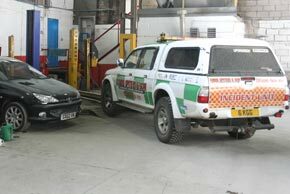 We are able to provide written quotations for all body repairs including vehicle re-sprays. We also undertake partial or full re-sprays on commercial vehicles. 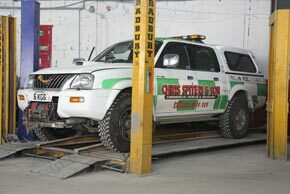 Customers requiring either regular vehicle maintenance or just a one off service, can rely upon our qualified staff to undertake the task with professional competence. Customers are welcome to call at our premises or telephone to make an appointment for the work they wish to undertake. Wherever possible we seek to provide a courtesy vehicle to minimise customer disruption.